Even though most people think of pre-teens and teens when they think of orthodontics, there are good reasons your child should get an orthodontic evaluation much sooner. The American Association of Orthodontists recommends a check-up with an orthodontic specialist no later than age 7. The check-up may reveal that your child’s bite is fine. Or, the orthodontist may identify a developing problem but recommend monitoring the child’s growth and development, and then if indicated, begin treatment at the appropriate time for the child. 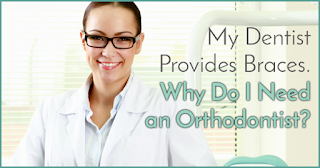 In other cases, the orthodontist might find a problem that can benefit from early treatment. Early treatment may prevent more serious problems from developing and may make treatment at a later age shorter and less complicated. In some cases, the orthodontist will be able to achieve results that may not be possible once the face and jaws have finished growing. If you have questions about whether or not your child should be seen we are more than happy to conduct a complimentary examination for you. 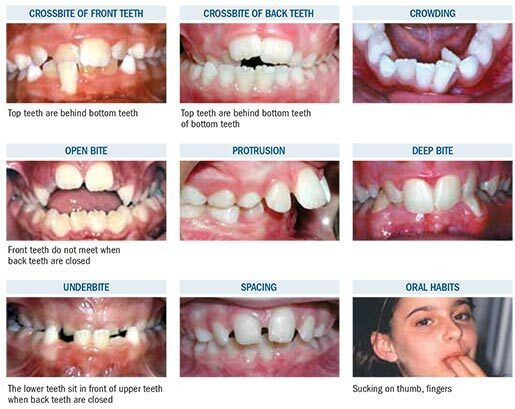 A referral from your child’s dentist is not necessary but we will communicate our findings to you child’s dentist. If we feel that your child is not ready to benefit from treatment we will monitor your child’s dental development on a regular basis until it is the ideal time to intervene. While it’s true that we are placing more orthodontic appliances on 7-10 year olds, the benefits of early treatment is on a case-to-case basis and only the more severe problems require actual braces. The primary reason for early treatment is that some dental and jaw discrepancies are much easier to correct when the teeth and jaws are in their most active development stage, 7-10 years of age. Normally it will not eliminate the need for braces when all of the permanent teeth erupt, but it will usually result in a shorter time period with braces and a more ideal result. The most common appliances that you see have the purposes of making room so that permanent teeth will not require removal to make space for all of the teeth, or widening a narrow upper jaw, or beginning the correction of more severe bite issues or severe malalignment issues that affect the child’s self-image. We can even use new technology from companies like Invisalign to treat certain problems at this early age! Specialists exist in all categories of medicine. Take, for example, a cardiologist. A cardiologist is specially trained in the diagnosis and treatment of problems related to your heart. If you, or someone you know, is having heart-related problems, then logically you want that problem treated by the best person available-the cardiologist. Now, let’s take this one step further. When you were describing your concerns to your general-practice physician he or she said that they have access to some new techniques that allow them to treat your heart, or perform your surgery, at a lower cost than the cardiologist. Do you agree to treatment with the general-practice physician to save some money, or do you ask to be referred to the cardiologist? I know very well that treatment of crooked teeth is not a life-or-death matter, as can be the case with heart problems, but the result of improper orthodontic treatment can have a lasting effect on your teeth and smile. Your orthodontist is specially-trained to treat not just your crooked teeth but also how your teeth bite together. This is not something we do as a small part of our day. We spend our waking hours focused on understanding all the factors as to why your teeth are not straight as well as the different ways to fix them. Our responsibility is to listen to your concerns and then help you to understand the different options available for treatment. Our goal is to give you a bite, or occlusion, that functions properly so that you can chew efficiently and not wear down your teeth prematurely. Our dedication to your smile results in a customized smile that fits your face and personality. 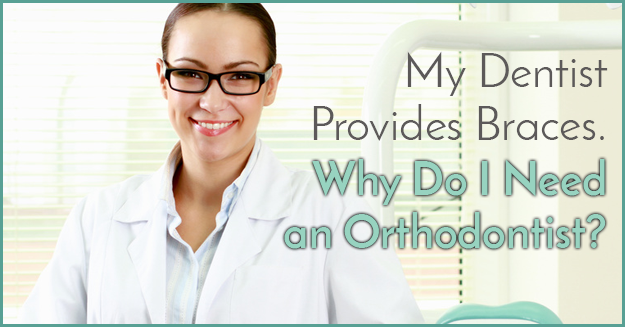 In summary, your orthodontist knows what to do, and when to do it…at least when related to your teeth and smile!